The last time I was in the Long Beach Airport, I was twisting and oiling my hair before wrapping it for my flight. Across from me were two Middle Eastern women who occasionally looked over and whispered to each other. When I finished, they leaned across the aisle to say they were sorry for staring but watching me reminded them of their relatives and how they twisted their hair up at night. As I began penning this in the Long Beach Airport after a long weekend where I saw Black Panther three times, I’m reminded of that moment. That moment of understanding, commonality and shared cultural practice. Black Panther is the eighteenth movie of the Marvel Cinematic Universe which as of this year spans a decade (2008-2018). 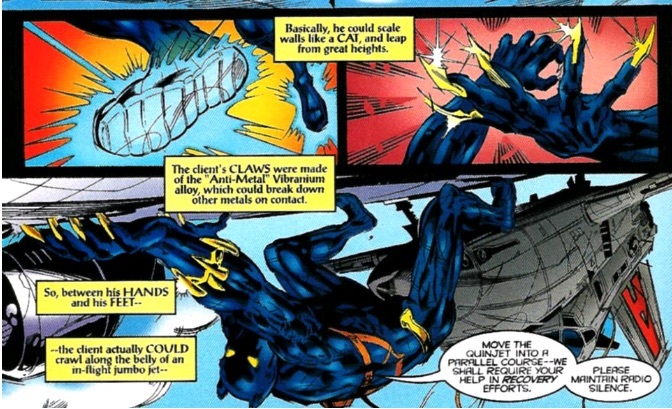 The film is firmly steeped in its superhero origins from its tech to its action sequences to its hoverbikes (yes colonizers, Wakanda has hoverbikes). But more importantly, Black Panther is firmly rooted in the idea of the global African diaspora. The main villain’s raison d’être is sprung from a resentment of being left adrift, both physically and culturally. Not Wakandan, not American but definitely Black in a world that regards his Blackness as a detriment. The film opens with Wakanda, an isolationist nation who has committed itself to keeping the secret of its resources and advancements by any means necessary, now in transition after the death of its leader T’Chaka. Wakanda’s new king, T’Challa, played by a humbly magnetic Chadwick Boseman, must set aside his grief over his father and figure out what kind of king he wants to be. Wakanda has the power and technology to help people, especially those that look like them, but they’ve spent so many centuries hiding in plain sight that T’Challa’s confidantes are divided on how they should interact with the world. Refugees bring problems and knowledge of their resources would invite invaders. These concerns are not unfounded. Outside of Wakandan spies, like Nakia (Lupita Wyong’o) most Wakandans have never left the country and are wary of opening its borders. This nation also exists on a continent that has been plundered by colonizers for centuries and continues to be exploited by the Western world to this day. This is all in a Marvel movie y’all. While Wakanda may live in isolation, it is not without knowledge of the outside world. Embodying this neo-millennial, pan-African diaspora is Shuri, T’Challa’s little sister and Wakanda’s foremost technological expert. With the bass of hip hop and African rhythms booming in her lab and clad in sneakers, crop tops, and braided hairstyles that even Solange would covet, Shuri represents the dichotomy of Wakanda; a nation eager to show its wonders to the world and also thoroughly influenced by African-American aesthetic while separated from it. 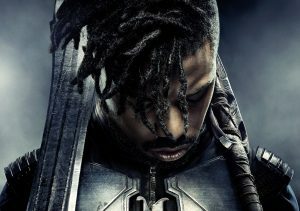 The entire construct of Wakanda is problematized by Erik Killmonger (Michael B. Jordan), who is (SPOILER) T’Challa’s cousin. Erik was abandoned after his father died and T’Chaka left the boy behind to maintain the lie of Wakanda. Erik, who has been trained as an American soldier to destabilize nations, uses his skills to challenge T’Challa so he can takeover and use Wakanda’s resources to liberate Black people all over the world and rule them the “right way”. Erik represents Black rage but at his core he’s so many Black Americans, seeking a connection that colonization and oppression has severed. He is Black rage but he is also Black pain. 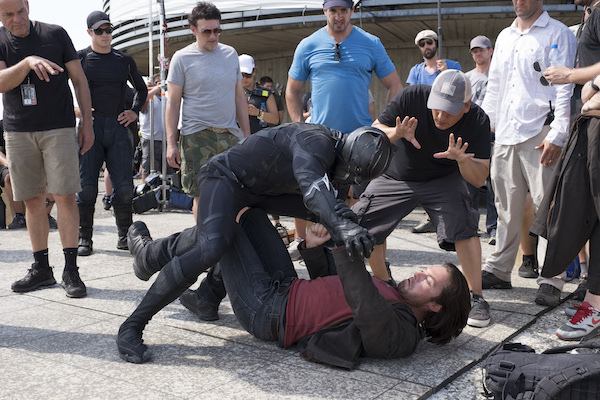 This is still a Marvel movie, y’all. After it’s opening weekend Black Panther shattered records with a $245 million opening (with an additional $169M globally) and while this kind of money making is not uncommon for a Marvel film, it is uncommon for a film delving into issues this complex to open on such a large scale. But beyond Marvel, Black Panther’s success is a testament to the intersection of culture where it resides. Globally, Black people, comic book fans or not, have been anticipating this film. It features Black people from all over the diaspora in roles in front of and behind the screen. And generally once Black people see the film and the themes it covers they are eager to return. And while the story resonates particularly with the Black diaspora, I believe the story resonates with all displaced people. Folks who find themselves separated from their roots, folks at the intersection of tradition and progress, people who recognize the oldest shared cultural practice, searching for a place to belong. While Killmonger’s villainy is undeniable, his pain is relatable. We want to connect, we want to strike back at those who have hurt us, we want everyone to be free. Although there’s a lot to unpack in this film, I believe what is important to remember is that these choices were deliberate. Two Black men wrote this film seeking to explore these themes while giving us a depiction of a Black superhero starring a cast of Black people, in Africa put together by Black designers, most of whom were Black women. That in and of itself is a marvel (pun intended). Black Panther opens a door for discussion but more than anything I hope it has opened a door for connection so that we all can see what connects us rather than what divides us. Wakanda Forever! – Black Panther Review – All Hype or Best Comic Book Movie of All Time?